Tornado have been manufacturing and importing agricultural equipment since 1973. 2018 is our 45th year. We are a small to medium sized family owned company who with the dealers strive to provide the best machinery with the best features for the best possible price. As part of our commitment we have built a solid reputation on quality service, spare parts back up to our customers and dealer network throughout Australia. While other brands of sprayers are becoming more conscious of price, and in doing so tend to remove standard items from their units, Tornado has gone to great lengths to uphold the quality we have become famous for. Development is ongoing in the sprayer field. New innovations are always on the drawing board. This proves that Tornado is committed to ongoing development for the horticultural industries that are constantly looking for better ways to be more efficient. The last 15 years we have expanded our expertise into the Olive and Nut Industry. We supply a wide range of equipment from mulching, harvesting and olive processing equipment. From Growing through to Processing. 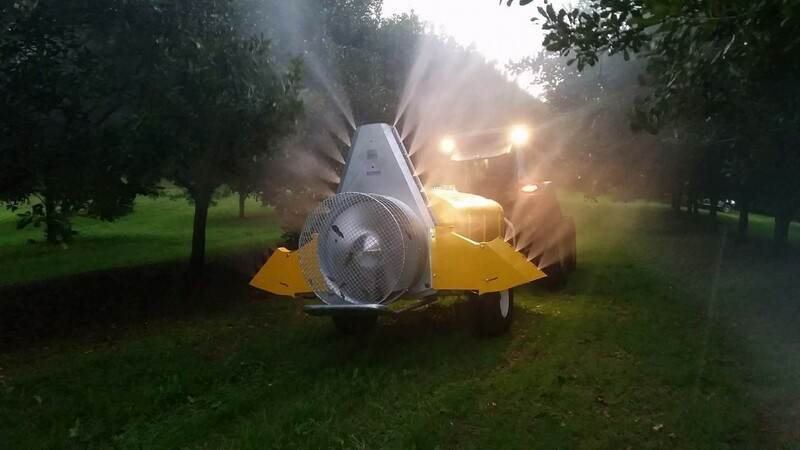 Our association with Pieralisi, Sicma & Facma of Italy allows us to provide the highest quality harvesting and processing equipment, which has produced award winning results in Australia and around the world.